We know there are many taxi and travel companies to choose from in the Salisbury area but there are several good reasons why you should choose Value Cars Group first for a Salisbury taxi and all your travel needs, not only in the Salisbury area but right across the UK. 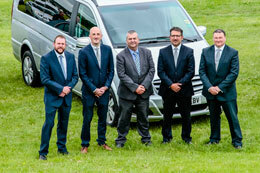 Listed below are just some of the reasons thousands of customers choose us for their Salisbury taxis, Executive Chauffeur drive, Minibus & Coach hire, Stonehenge Tours and Airport/Seaport transfers. Established in 1998 and local family owned. We operate around the clock, 365 days a year. We are the dominant force and No 1 choice for Salisbury Taxi services, Executive Chauffeur drive, Minibus hire, Coach hire, and airport or seaport transfers. We are regularly rated 5* in customer reviews. Value Cars Group receive approximately 9,000 transport requests per week and serve in excess of 1 million passengers each year, providing work for more than 130 people. 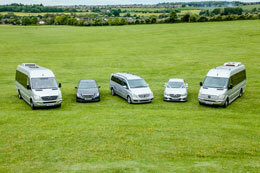 We operate a fleet of over 100 Salisbury taxis, the majority of which are less than 3 years old. We operate our Salisbury taxi services 24/7 for your convenience. 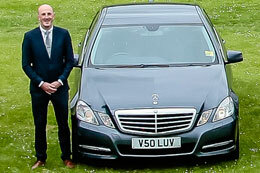 Our drivers are all highly trained, many to NVQ and/or BTEC standards. All are CRB checked. Value Cars Group and our Salisbury Taxi service, are previous winners of the prestigious ‘South Wiltshire Business of the Year’ award. Salisbury's Premier Taxi Company with 20 years experience. We operate 24/7 for your convenience and can be with you in minutes. Our fleet of 100+ modern Salisbury Taxis are less than 3 years old and our fully trained drivers are police/CRB checked. We guarantee fast response times coupled to affordable & competitive taxi prices with no hidden charges. Whether your need a taxi to or from the railway station, a shopping trip or a school run, you can rely on us to deliver a premium taxi service every time, anywhere in the Salisbury area. Luxurious fleet of E-Class Mercedes Benz with air-conditioning, leather seating and privacy glass. Bottled water, newspaper and mobile charging facilities available in all Chauffeur drive vehicles. Airport, Seaport & Railway Station greetings, transfers, collections and departures. Southampton Cruise Ship collections, transfers and tours. Door to Door Corporate and VIP Chauffeur drive available UK wide. 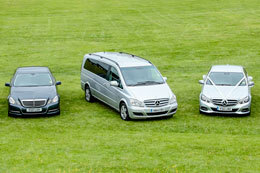 Ask about our Wedding Car Service which includes bows, ribbons and provision for bouquets. Chauffeurs trained in etiquette and service standards are your guarantee of a highly personalised service. Avoid long queues, or trying to locate your driver outside on a crowded kerb, by using our standard 'Meet & Greet' service. Our trained drivers will meet you with a name board at Heathrow, Gatwick airport or Southampton Seaport, before escorting you to one of our luxurious Mercedes Benz E-Class cars and chauffeur you in relaxed luxury to your hotel, onward transfer or tour. Value Cars Group offer a range of tours and vehicles to suit every budget and can collect you and friends or family from any airport or hotel. We promise a Premium Transfer or Tour service. Tour venues are tailored to suit your requirements but popular tours include Windsor Castle, Stonehenge, Salisbury Cathedral, Ascot races and the Roman Baths at Bath. Call us today on 01722 505050 for a FREE quote on hiring one of our quality coaches. We cater for weddings, business events, school trips, sightseeing tours, or any event that requires a quality coach hire operator. All our coach drivers are fully trained, regularly assessed and CRB checked for your peace of mind. Operating from our Salisbury complex, our coach hire prices are regularly checked to ensure great value. Businesses and private individuals select Value Cars Group for their coach hire, safe in the knowledge that we never compromise on quality and safety. All our coaches adhere to the highest UK & European safety regulations.